I love my husband. When I asked him if I could apply for what sounded like a fun opportunity to review the Hollywood Wax Museum, he didn’t bat an eye. And when I asked him which location he preferred, he replied “Hollywood”, without hesitation. Even though that meant a 5,000-mile road trip! 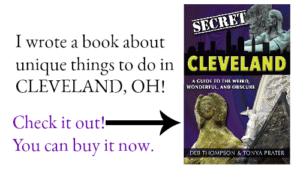 I imagined a cross-country road trip with my teens filled with special moments visiting roadside attractions, eating at hometown diners and sleeping in mom-and-pop motels. Though it’s true that our trip was dotted with special moments, it strayed a little bit from my original plan. Yes, we saw roadside attractions but we didn’t eat at hometown diners and I couldn’t convince my husband to step away from the chain hotels. Well, that’s not entirely true. We did once, which left him swearing that he would never stray again. But I’ll save that story for another day. From day one, my kids had one thing on their mind. They wanted to get to California. And not just California, they wanted to see Hollywood. I admit after driving through all the wide open spaces of the southwest, I was less than thrilled to sit in traffic on a four or –five lane highway. But my kids were on a mission. They wanted to visit some of the best tourist attractions in Hollywood; the iconic Hollywood sign, walk among the stars down Hollywood Blvd and visit the Hollywood Wax Museum, the longest-running wax museum in the United States. What makes that feat even more remarkable, is that the museum has been owned and operated by the same family since it opened in 1965! 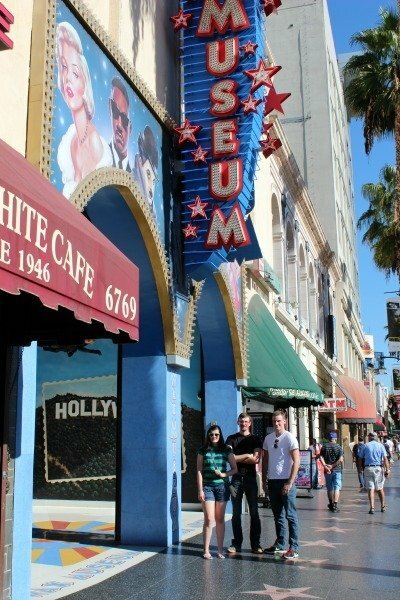 See the Hollywood Wax Museum sign? The 17 stars represent each of the founder’s children and grandchildren. I love that! The historic building that is home to the Hollywood Wax Museum was Hollywood’s first exclusive nightspot, The Embassy Club. In the 1930’s it welcomed entertainment industry greats, like Charlie Chaplin, Mary Pickford and Jean Harlow who dated Howard Hughes. 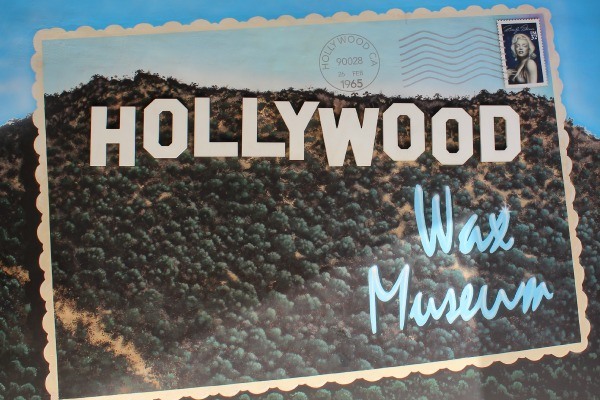 The wax museum was the first to dedicate its entire collection to Hollywood celebrities and pop culture. Nearing 50 years in operation, the museum has been updated through the years to contain a mix of popular stars with favorites for all ages. The fun begins as you enter the lobby. 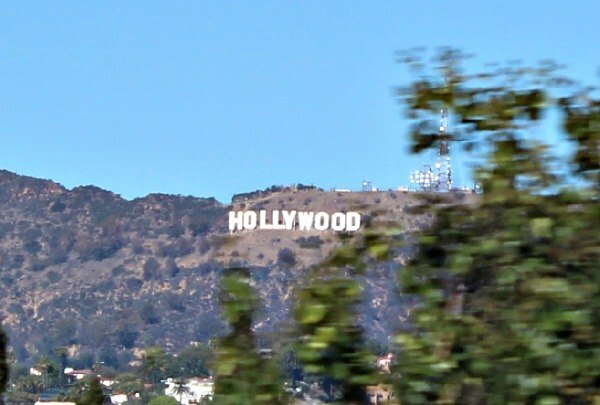 You can pose for a photo of the Hollywood sign with your family and watch a free show “Tribute to Cinema” that provides visitors with an overview of notable movie genres. My family loved the wax museum. As a family, we watch a ton of movies. It was fun to see wax figures of some of our favorite stars and characters- and even have the opportunity to pose with them. We visited the wax museum late morning, mid-week and it wasn’t crowded at all. We were able to go through the exhibits at our own pace and stop, photograph or pose with any of the figures that caught our attention. We even got a little silly on a couple occasions. If you’re looking for things to do in Hollywood, I’d definitely suggest a visit to the Hollywood Wax Museum. You can follow the Hollywood Wax Museum Facebook page to learn about new exhibits, updates or special events. 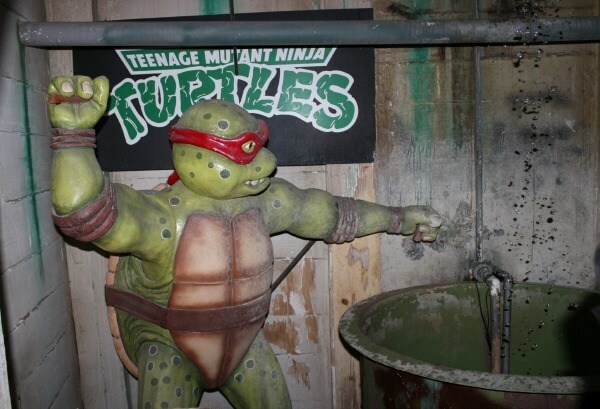 In addition to the Hollywood Wax Museum on Hollywood Blvd, you’ll also find wax museums in Pigeon Forge, Tennessee, Branson, Missouri and Myrtle Beach, South Carolina. Hours: 10:00 am to midnight, 365 days of the year. VIP Combo tickets to the Guinness Book of World Records and Ripley’s Believe it or Not are also available. Parking: Garage parking is available at the huge Hollywood and Highland Center, about a block from the Hollywood Wax Museum. If you have your ticket validated at the information desk, you’ll receive complimentary parking. 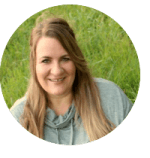 © 2013 – 2018, Tonya Prater. All rights reserved. We love wax museums. Well actually, I should say my husband and I like wax museums – my kids haven’t been yet. Ha! That last photo made me giggle. Looks like you guys had fun. 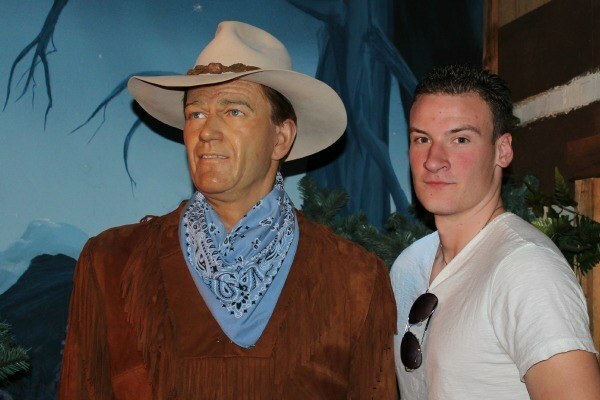 I haven’t been to the wax museum since I was a kid. WOW I completely forgot how well done the different characters could be. I need to add this to my list of items to see during my next trip out there. What a fun trip! 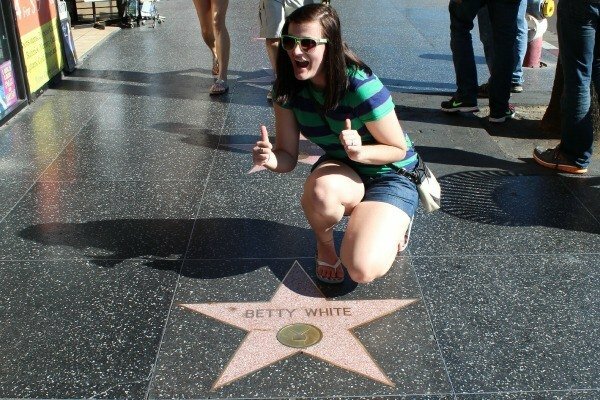 I recently visited Hollywood for the first time and it was cool to see the stars in the sidewalk and all the famous places I’d seen on TV. I didn’t have time for the wax museum, but hopefully next time! What a fun exhibit to check out. Your kids really got into the spirit of it, too. I can’t believe how realistic they look! Wow! Next time we’re in L.A. I’ll be sure to take the family there.